During the “Additional Nomination” task, Ashleigh, Ash and Chris all chose a gold envelope containing a monetary value. 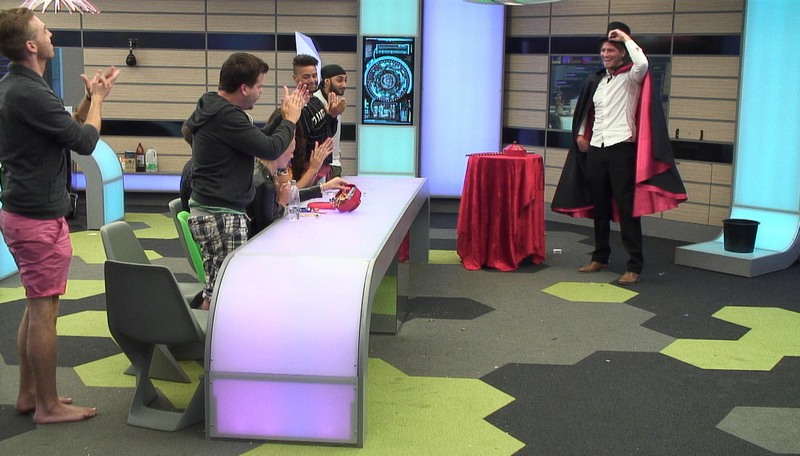 Winston, Mark, Pav and Christopher then chose Chris to join them in facing the public vote this week. Chris revealed the value inside his envelope to be £10,000, therefore meaning that Housemates total on the cash totaliser increased to £10,000. In “Helen’s Salon”, Winston and Ash were given the chance to earn a further £2000 for the prize fund by having one of Helen’s Signature Haircuts. They both refused meaning that the total remained at £10,000. In “Family Temptations”, Big Brother added £6000 to the total fund. Chris, Christopher and Mark were all given the chance to spend some time with their family and friends in the Family Room. They all maxed out the time available to them in the Family Room, meaning that the £6000 had diminished down to £0. Therefore the total remained at £10,000. Finally in “Money Cocktail”, over the course of 6 minutes, Housemates managed to consume enough stinky cocktail to earn a further £500.